In business since 1978, Carson Dunlop is one of the oldest and largest home inspection companies in North America. We’re passionate about the home inspection business. We’ve performed over 150,000 inspections and trained thousands of home inspectors. In fact, we’re also the only registered college devoted exclusively to home inspection training. Along the way, we’ve learned what clients want in a report and what tools inspectors need to exceed their clients’ expectations. So in 1988, we designed a robust reporting system that has been used across North America for over three decades. That reporting system has evolved into a cloud-based, state-of-the-art inspection software system — Horizon. 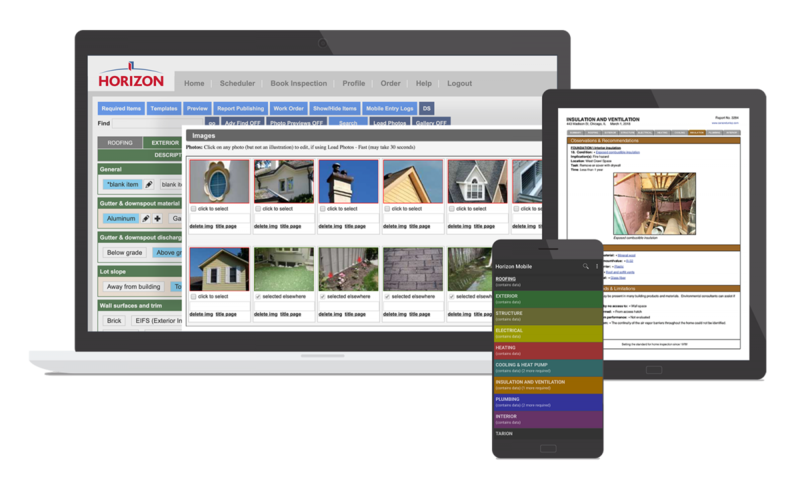 Horizon is the ultimate inspection software tool. It has everything you need to run your entire business efficiently and professionally, with outstanding report writing at the core. Horizon is more than a report writing and business tool, it’s also a community. We are here for you every step of the way — from robust one-on-one training to technical support and advice for the long haul. Our clients’ success is our success. We want you to succeed and we will provide the support you need to get the most out of Horizon. 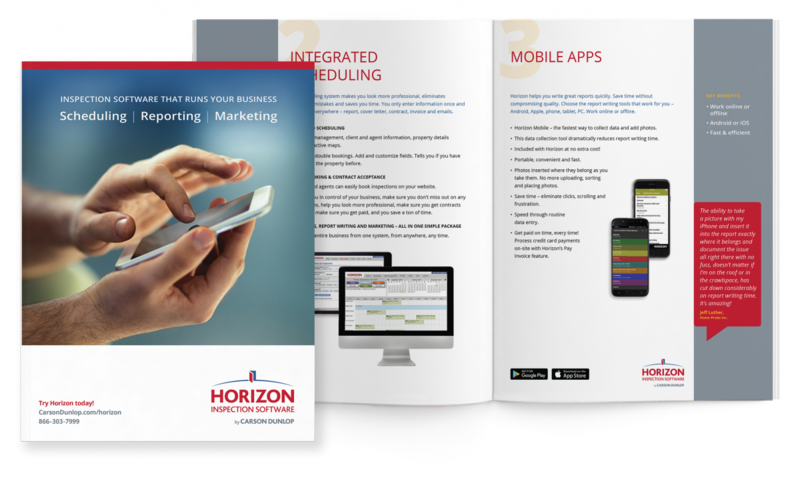 Horizon reports are the best in the industry. Your clients will love the detailed and illustrated information and modern, clean design. They will also appreciate your timely booking, contract and invoicing procedures. Referring agents too, will recognize this and have confidence in your ability to provide clients with professional service and best-in-class reports.